A gaze that commands attention is simultaneously subtle and striking. 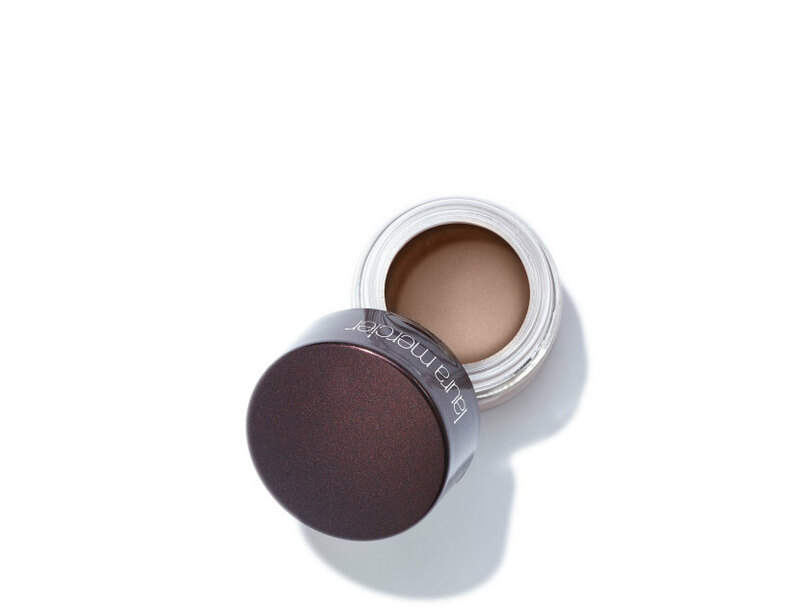 Makeup artist Jo Baker, whose clients include Emmy Rossum and Shailene Woodley, cleverly blended two eye pencils, one a rich espresso, the other a silvery-brown, to create a soft, smoky look with a refined, cream-sheen finish. "I love the sheen this eye pencil delivers, it also complements all skintones and eye colors and is a much more subtle option than black. 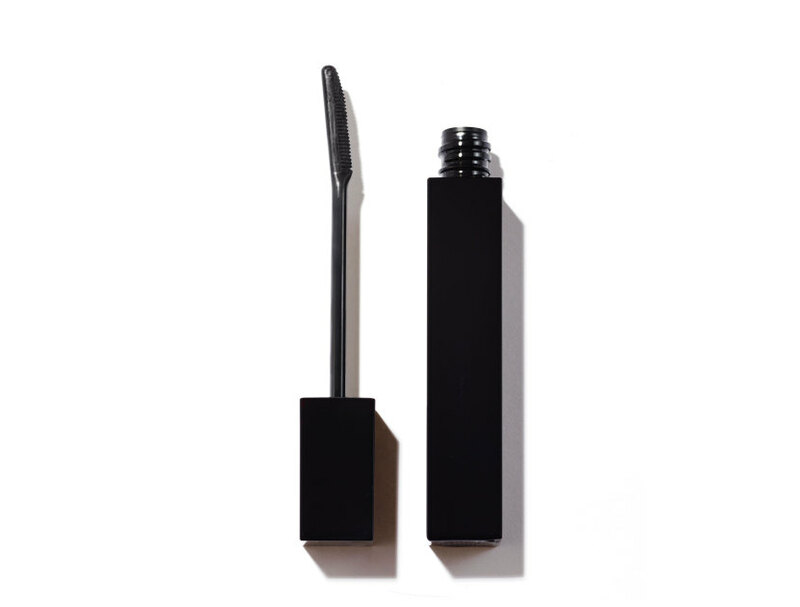 Scribble the pencil directly to the eyelid as you would an eye shadow." "Using the darker brown pencil, draw over top the metallic bronze pencil." "Gently blend the two colors together using a small, soft eye shadow brush. 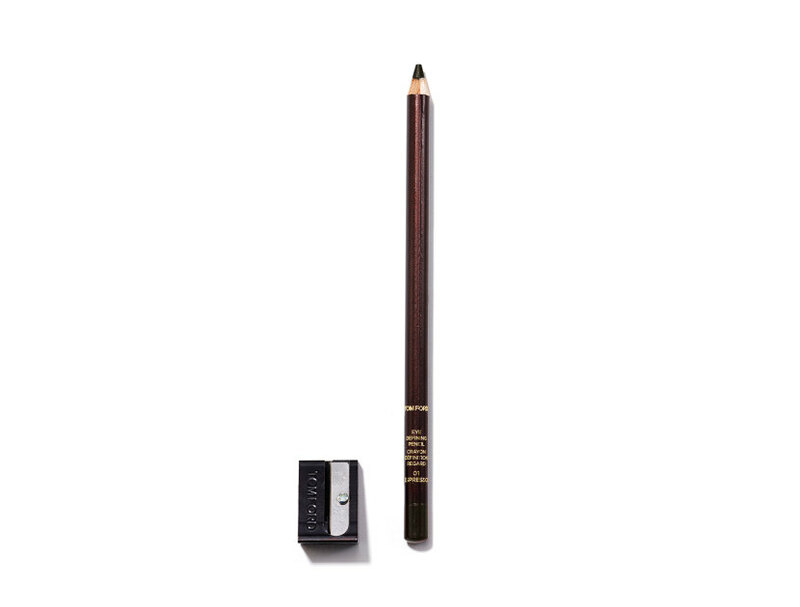 The pencil texture is soft enough to create a cream shadowlike finish." 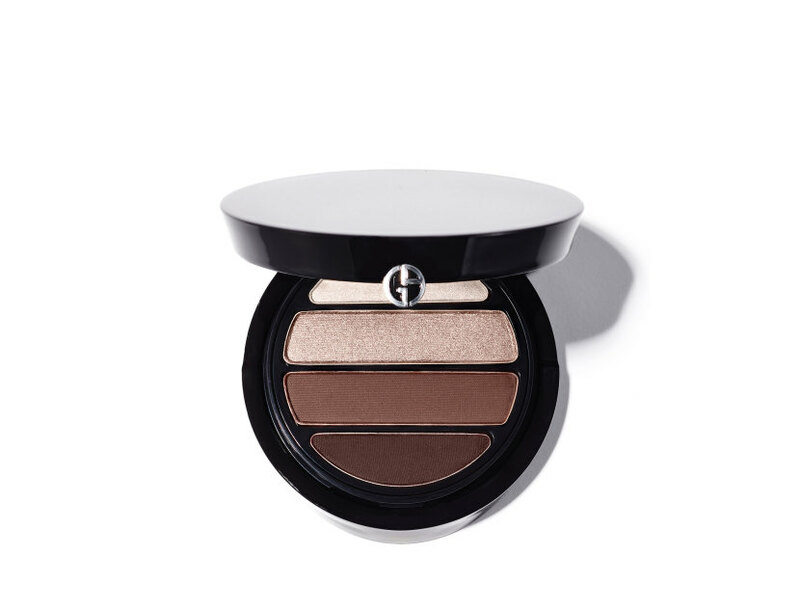 "To add subtle definition to the eye, apply the deepest shade in the Armani Eyes To Kill #2 palette along the upper and lower lash line." 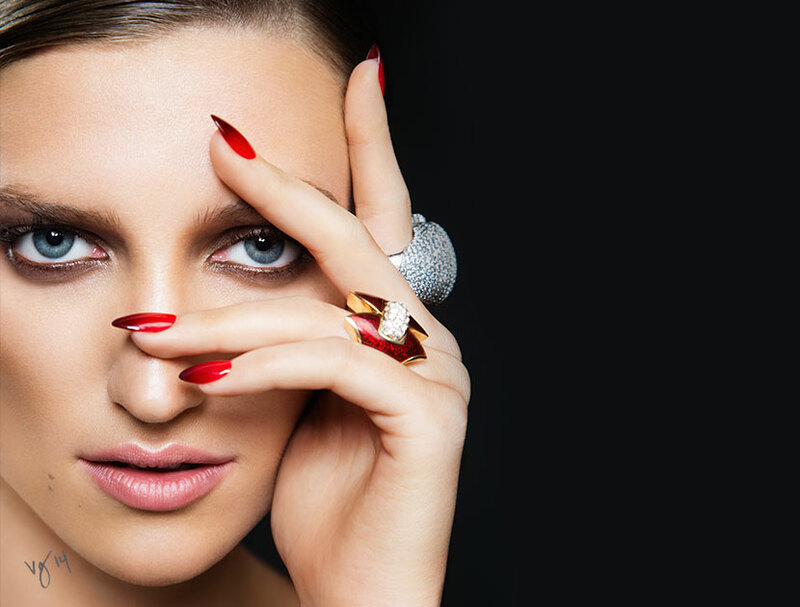 "Gently curl lashes and apply one coat of Serge Lutens mascara for a natural, fluttery effect." 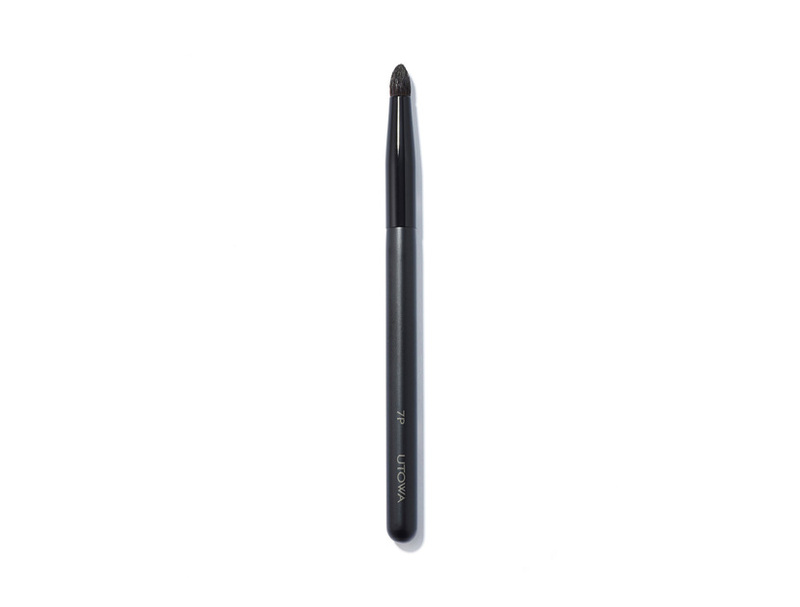 "Select a short bristled brush to define the brows. 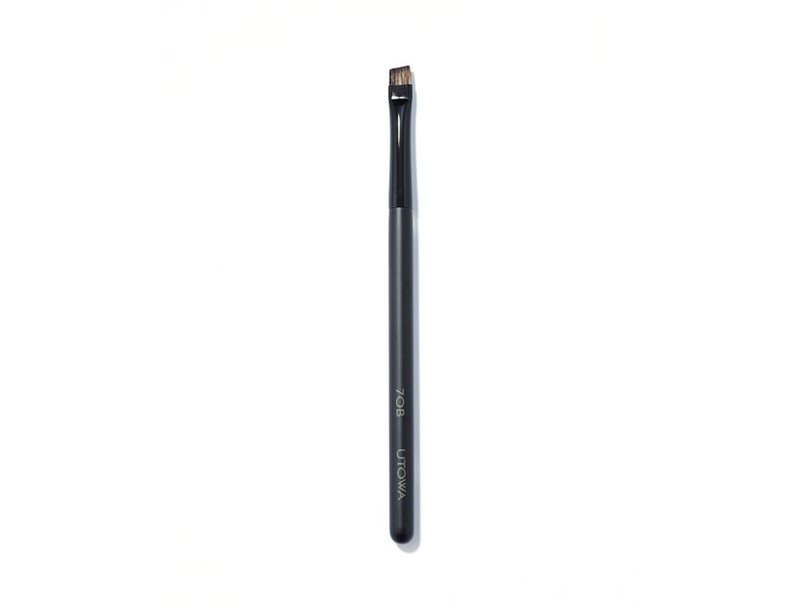 The stout and sturdy brush hairs are the perfect size for delivering the right amount of pigment to the brow hairs and the skin below." "Dip the eyebrow brush into the gel and lightly brush the formula into the brow hairs to keep the overall look natural, yet groomed." 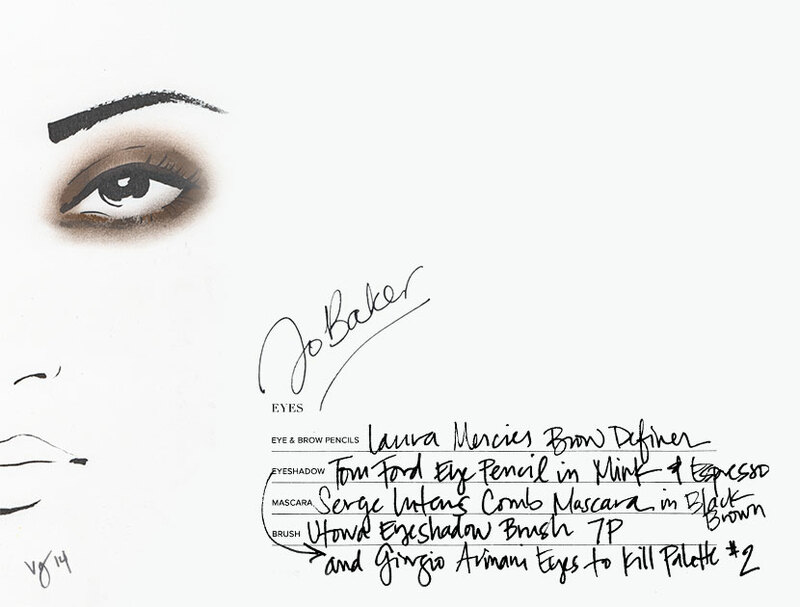 MAKEUP ARTIST JO BAKER TRANSLATES POWER INTO A SMOKY EYED DAY LOOK FOR THE DEAL MAKER.